Summer is a reflective time for me, and I'm guessing, it is for most teachers. I use the mini sabbatical to spend time with my family and recharge. But I also use it to plan for the next school year. That is a process that comes with a lot of reflection. So far this summer, I have been preparing to go fully 1:1 with my classes. I began the process last year (as much as my access to technology would allow), so I've used the summer to reflect on what worked and what didn't. 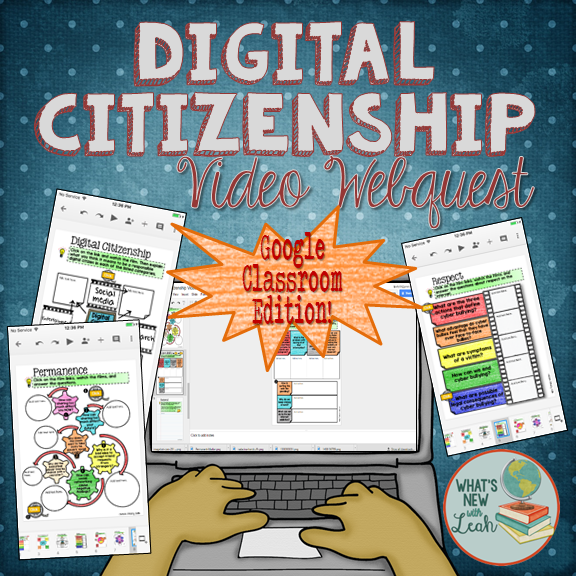 So far, in this series, I've blogged about two things that have served to make my life as a teacher so much easier--Google Forms for Multi-Media Assessment and making OUR lives easier and Screencastify for content delivery in absentia. 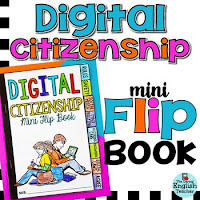 Technology has opened a wide world of possibilities in the classroom--virtual field trips, flipped classrooms, less paperwork for teachers, digital interactive notebooks (thank you Danielle Knight for teaching us how to do it--you can check out her brilliant toolkit HERE). ultimate goals as educators of students and as purveyors of content. We are here to nurture young minds and to deliver content in the most effective ways possible. 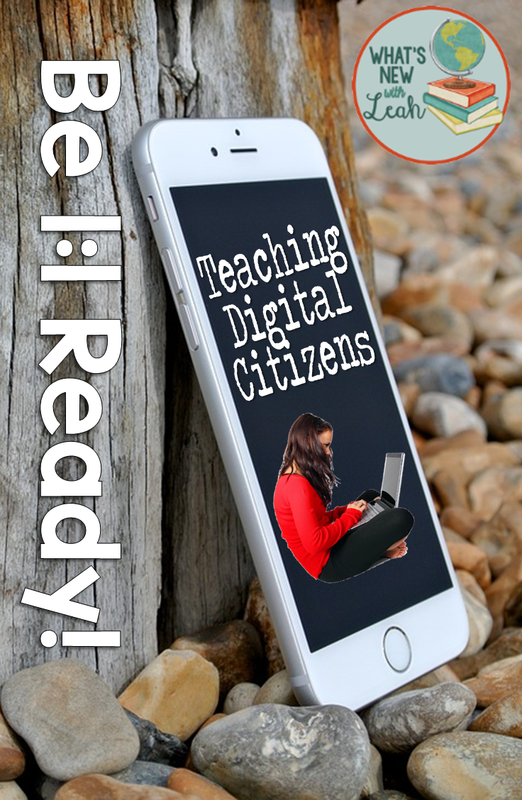 Just because students are using their devices doesn't mean that they are engaging in quality assignments. Think about it this way--when textbooks were the thing, we didn't exclusively use them just because we had them. Most of us realized that teachers who did so week after week were phoning it in. Let's try to be the same way with our Chromebooks, IPads, or whatever devices we're using. 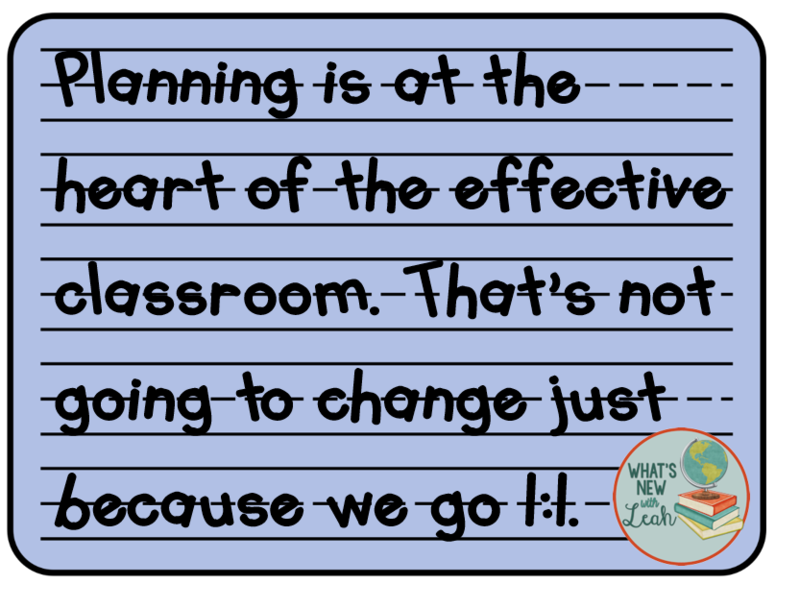 Planning is at the heart of the effective classroom. That's not going to change just because we go 1:1. We've all been there--I'm there now--sitting in front of a screen, typing away. That's good. We're focused when we do that. We're thoughtful (if we're not checking facebook, which I may or may not be currently doing). But we're also shutting other people out. Technology is certainly not the only cause of that--book work certainly has the same effect. But in the old days, it was considered bad practice to do nothing but book work for an entire course. So let's avoid doing that with computers and thinking that it's okay just because we're incorporating technology. Let's continue to vary our activities. An example of how I might do this is when I'm introducing a new unit. I always begin with vocabulary. I have digital flashcards with film links and 10 to 11 pages of activities (cloze reading, matching, puzzles). I assign it all in Google Classroom. Last year I made the mistake of assigning it all at once. That made for a lot of screen-staring time (a.k.a.--a whole block of book work). So I'm making an effort to break it all up. I can make copies of my big documents in Google Drive (as many as I want), and delete slides or pages so that I'm just assigning a little at a time. Students can create folders for each topic in their Drives so that they stay organized. 1. Assign the flashcards and matching activity before we begin the unit and instruct students to preview the cards, watch the films, and complete the matching activity at home, during lunch, before practice, in study hall--you get the idea. 2. The day we begin the unit, I'll only assign the cloze reading to the students. I'll set a timer for 10 or 15 minutes, and let them complete it and submit it to me. 3. Then we'll go over the answers together. There are all kinds of ways for me to know if they actually tried or just put down anything down, not the least of which is that I'll have their submitted answers. I also like to "cyber stalk" them while they're working. You can read about how to do that HERE. 4. Then we'll play QUIZ-QUIZ TRADE or QUIZLET LIVE. I've advocated a 3-3-3 Station Rotation Model in the past. I like it--it's simple. It enables flex-grouping and differentiation. It allows the teacher to give students more individual attention. You can find out more about the Station Rotation Model HERE. I plan to use it as a way to avoid turning computers into book work substitutes. But--and this is important--only ONE of my stations will use technology. I know, I know, I know--that's not what I said last time, but now all of my students will have their own device. They need something different at each station--moving locations is part of it, and what's the point in moving if they can just access everything on their devices? 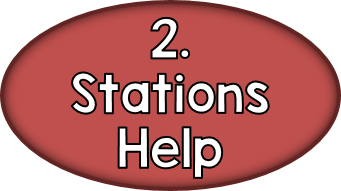 *A work around for this if, say, you want the task cards at station 2 to be digital, or you want to give virtual notes at one station and a virtual tour at the other, is to have a link or QR Code to the activity (the website--your screencastify on YouTube or linked to your Google Drive). 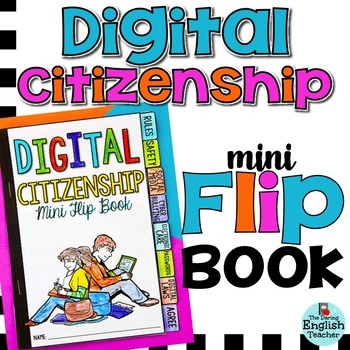 If you have digital handouts for these, you can assign them in Classroom or via email, but they should have to move to get the link that goes with it. Games require thinking and interaction. They can help students review or learn material, but they also promote cooperation and collegial competition. In other words, they build social skills. 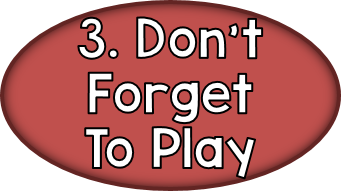 When students are playing games with each other, even if the games are on the computer, they are not isolated. They don't have to be lengthy games or take much prep. For games like this, I highly recommend becoming familiar with a few Kagan Structures. You can read about five to get started with HERE. 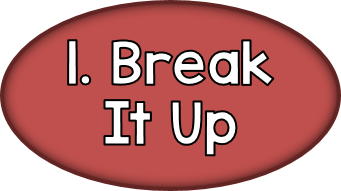 They are quick, they break up your lessons, and they get students talking (hopefully about what you want them to :)). I'm not a huge fan of whole class games because some of the students just don't participate. I prefer partner and small group games because they force everyone to participate (generally). 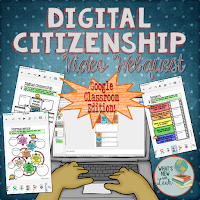 Check out this video to see some that I made for Google Drive that are easy to assign in Classroom and can be played in small groups. You can check out the games HERE. 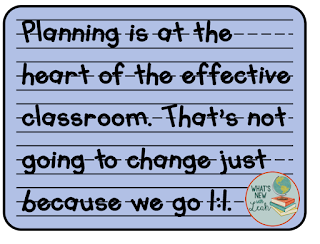 How are you planning for effective instruction in a 1:1 Classroom? Leave a comment below to let me know!